The Hunger Games: Mockingjay — Part 1 just hit DVD last week, but we've already got a new trailer and poster for Mockingjay — Part 2, which opens in theaters this November. But, if you're expecting to see a lot of Jennifer Lawrence, you're going to be disappointed. This new Mockingjay teaser trailer will run in theaters this weekend with Insurgent and mostly serves as a recap of the series so far, with audio clips from the previous three movies as the Mockingjay logo evolves before breaking free of its chains (it's a metaphor, get it?). If that's not enough Mockingjay for you, there's a new poster as well, with more fiery bird action (insert whistle here). While Mockingjay — Part 2 is the end of the Katniss adventures in the Hunger Games universe, don't expect it to be the end of the franchise. Earlier this year, Lionsgate confirmed they're developing both prequel and sequel possibilities for future Hunger Games movies. They're not joking when they say the fire will burn forever. 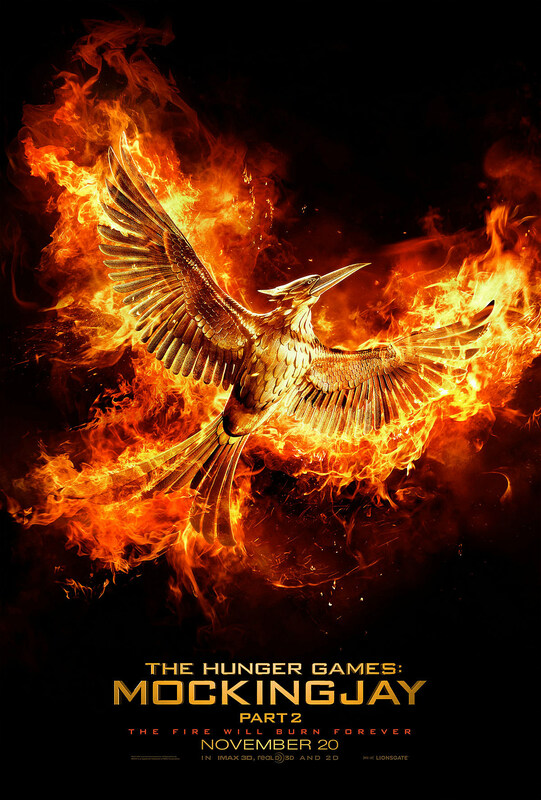 The Hunger Games: Mockingjay — Part 2 opens in theaters on November 20.